Sunday June 18, 2017 near FM 1925, east of FM 493. NEAR LA BLANCA — A 2-year-old boy died Sunday as a result of crash early Sunday morning. Texas Department of Public Safety troopers are investigation a two-vehicle crash that left 1 boy dead and another 4 people seriously injured. The crash took place at about 4:30 a.m. Sunday near Farm-To-Market 1925 (Monte Cristo Road) east of Farm-To-Market 493, DPS Sgt. Maria Montalvo said. 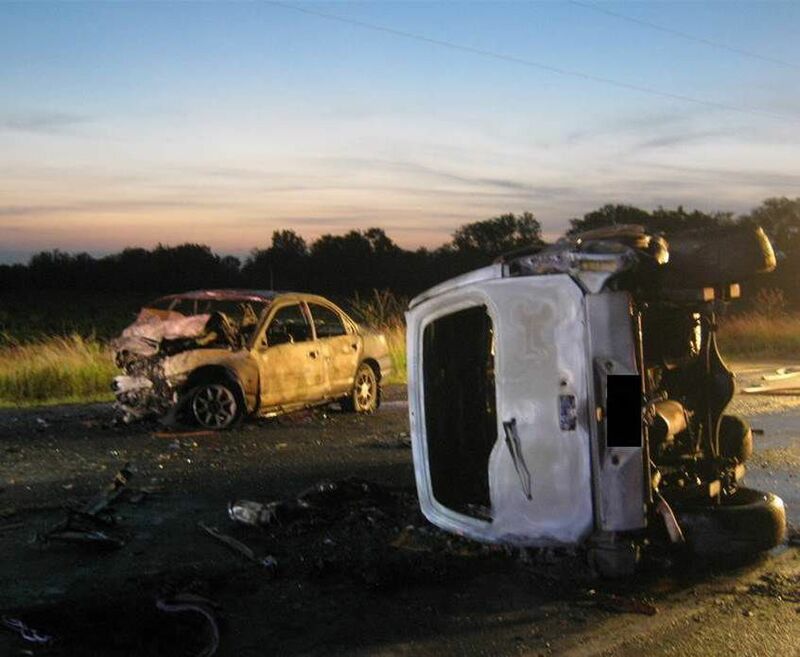 Montalvo said the driver of a Ford passenger vehicle was travelling on the eastbound lane of Monte Cristo Road when it veered onto the westbound lane and crashed head-on into a Nissan SUV that was travelling westbound. The two-year-old boy, identified as Acel Cuellar, of Pharr, was among four people traveling inside the SUV, Montalvo said. The other three members of his family, who have not been identified, remain in critical condition at a local hospital, DPS said. Authorities withheld the identity of the driver of the Ford passenger car, an unknown man, who also remains critical condition at a local hospital; and expected to face charges related to the crash, Montalvo said.